When Dot goes on a scouting trip with Dad, her tablet helps her spot incredible things — but it’s awesome to see nature with her own eyes, too. 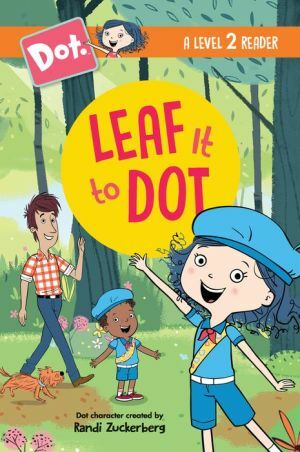 Dot and her dad are on a Rangeroo Scavenger Hunt with her best friend, Hal, and her dog, Scratch. Dad loves being outdoors with the trees, birds, and fresh air. Dot loves looking things up on her tablet. When Dad sees an owl flying by or spots moose tracks, Dot has her eyes on her screen and misses them. But she’s a wiz at using photo recognition to ID them and check them off on her scavenger hunt list! Maybe old-school hunting plus tech-savvy skills make a winning team?